Lawton Spring AT Workshops Nearly Full! This popular AT Assessment Training Series provides a balance of theory and hands-on practice, followed up with support for participants conducting AT assessments for students. If your district is considering sending a team, don’t delay! AT training is FREE to Oklahoma educators and related service providers, and Continuing Education Units (CEUs) will be offered for OTs, PTs, and SLPs. This three-workshop series is meant to be attended in order, and each participant is required to register for each session individually. You never know when an individual may need to read your documents with assistive technology (AT) such as a screen reader or an electronic braille device. That’s why it’s important to make all your documents accessible from the start. Luckily, Microsoft Word includes easy-to-use tools to increase access and readability for all! Join us for an informative webinar with Lyssa Prince, ABLE Tech Information and Communication Technology (ICT) Accessibility Coordinator. Lyssa will show you how small changes can make big differences in your Word Docs. No registration is necessary! Presented by: Lyssa Prince, ABLE Tech ICT Accessibility Coordinator. Students may struggle with reading for a variety of reasons; some have visual impairments, physical limitations, or learning disabilities which prevent them from accessing standard text. In these cases, a combination of Accessible Educational Materials and assistive technology (AT) can improve reading comprehension. 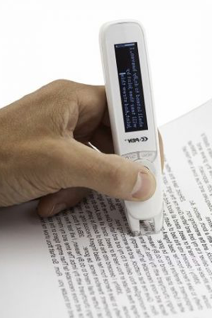 A reading pen, such as the C-Pen Reader, may help students with learning disabilities to increase reading autonomy, fluency, and comprehension. 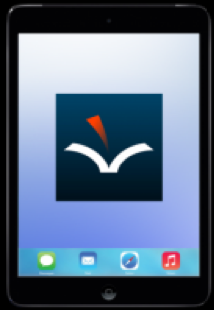 Book reading apps, such as Voice Dream Reader, read text aloud, and allow users to customize the visual display to meet their needs. Low-tech AT such as page turners and page fluffers help students with deficits in fine-motor skills read more independently. Click here for downloadable Make 'n Take projects. Visit AT Discovery for Reading to find more tools available for short-term loan from ABLE Tech. ABLE Tech device loans are provided for up to six weeks at no cost for the following purposes: (1) to assist in decision-making; (2) to serve as a loaner while the consumer is waiting for device repair or funding; (3) to provide an accommodation on a short-term basis; or (4) for professional development. Click here to read about the ABLE Tech Short-Term Device Loan Program. The spring semester has begun, and that means graduation is around the corner. Decisions made by and for your students now will have far-reaching effects. The Vocational Rehabilitation Toolkit for Youth with Supplemental Security Income can help your students and their families to understand the impact of earnings on Disability benefits so they can make informed decisions to support their life goals.